Ann McDaniel is the Director of Client Services for Grant Consulting. Ann has 25 years’ experience providing Information Technology (IT) and project management support to the Banking and Insurance industries. Her IT experience spans from mainframe computers to web ‘cloud’ technologies. Highlights of her diverse career include writing and maintaining mainframe programs for the electronic banking systems at Michigan National Bank; analyzing and designing systems to support the Claims and Underwriting processes at the Accident Fund of Michigan; project management for the Licensing and Regulations systems at the Michigan Department of Consumer and Industry Services and managing projects for the Unemployment Agency claims processes; and freelance web design. Her professional strengths include communication with clients, leadership oversight of development teams through the project life cycle of new and existing systems, and the discipline and creativity needed to design and maintain websites for small businesses. Ann lives in East Lansing with her husband, Mike McDaniel. Their two children attend the University of Michigan. 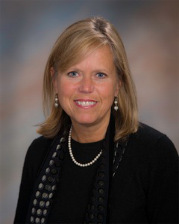 Ann has been an avid volunteer with the East Lansing Public Schools and currently serves as the Vice President of the East Lansing Educational Foundation.